The National Quilt Museum’s curator, Judy Schwender, sought an exemplary collection of traditional nine patch quilts. 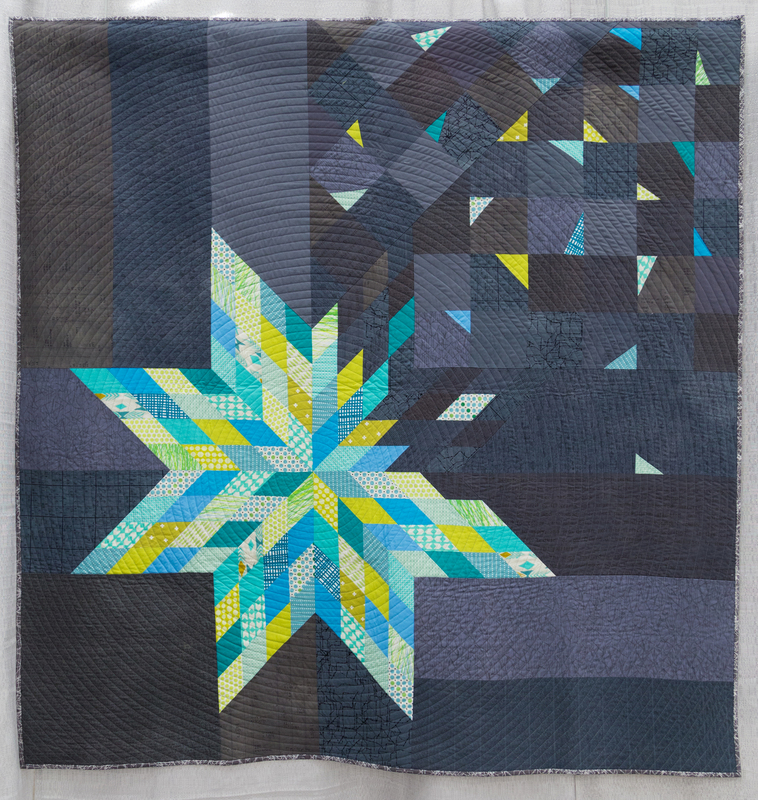 The Antique Nine Patch quilt collection is an excellent complement to the modern twist New Quilts from an Old Favorite: Nine Patch, which is at The National Quilt Museum in Paducah, Kentucky. 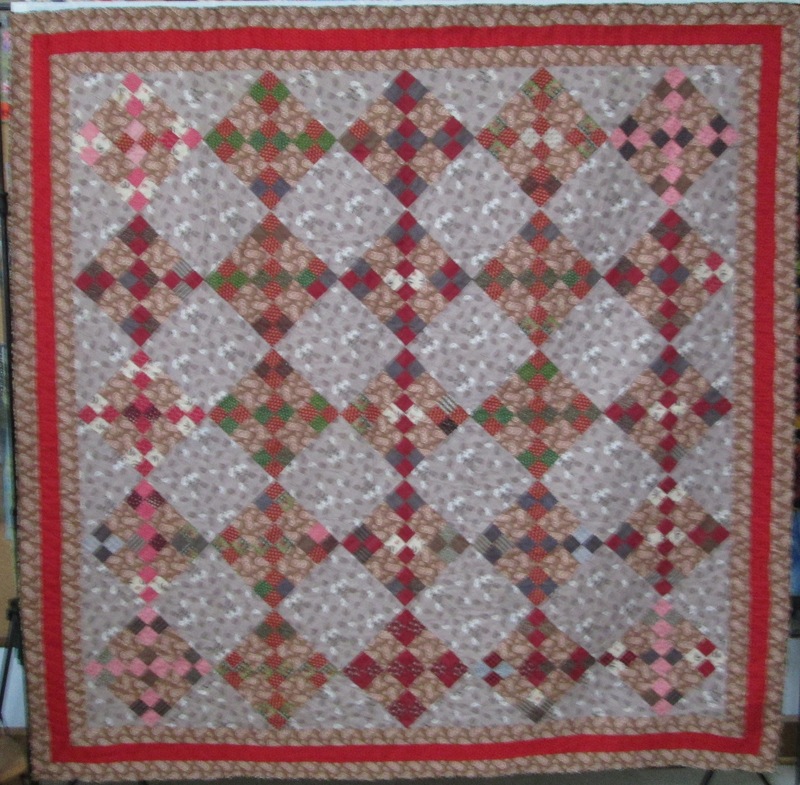 Each antique quilt sets apart as a unique identifier of the various ways a nine patch quilt is pieced and quilted. This turn of the twentieth century four patch nine patch is in the exhibit with the Nine Patch Quilts. I purchased the quilt, which looks new, at an antique show years ago. Sherri Bain Driver demonstrates how to create and apply an all-machine-sewn flanged binding. Add a touch of extra color to your quilt binding plus save time with this machine-sewn technique. I will be using this technique in my next quilt. I love it! that are in a Smilebox format from The Quilt Show. 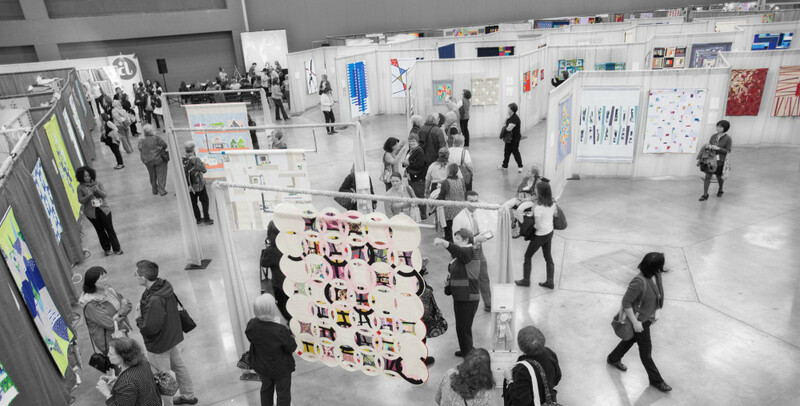 This is a Smilebox slide show of quilts from the Michael Miller fabric challenge exhibit at Quilt Con, Modern Quilt Guild, which was held in Austin, Texas last month. From The Quilt Show. Into the Wild: Quilted Creatures is at the National Quilt Museum in Paducah, Kentucky, through April 7, 2015. The Quilt Show has a Smilebox slide presentation of more quilts from Road to California 2015 Show.